Alimony « The Law Office of Linda A. Bailey, P.A. If you are considering divorce, one party may be entitled to alimony. The court may order several different kinds of alimony. Many factors determine whether or not alimony is appropriate and, if so, for what duration and in what amount. The primary considerations are one spouse’s need for support and the other spouse’s ability to pay, and that determination is completely gender neutral. We can help with temporary, permanent, rehabilitative, durational and lump-sum alimony issues. Alimony. Because of the considerable amount of discretion and large number of factors a court can consider in reaching a determination of what amount and duration of support is appropriate, experienced, thoughtful and creative counsel can often be of significant assistance to help a client achieve the best possible result. 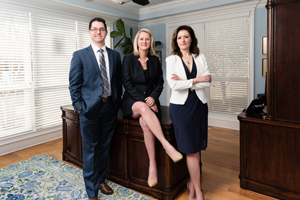 Divorce can be arduous for all parties involved, and it can be made even more difficult by complex and ever-changing Florida divorce laws, such as those which have recently occurred in the area of alimony. 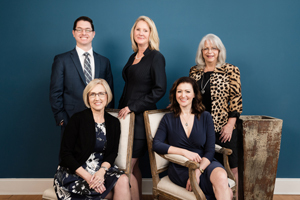 The attorneys at The Office of Linda A. Bailey stay current on all of the legal changes and have significant experience in negotiating and litigating alimony issues. We bring that knowledge and experience to bear on behalf of our clients.